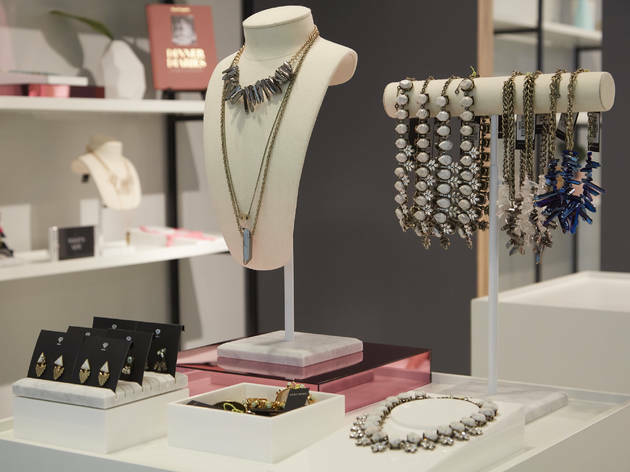 Just a stone’s throw from the city, this beloved online jewelry company opened its first permanent store at the Roosevelt Field mall in Long Island (yes, it’s really worth the trip). 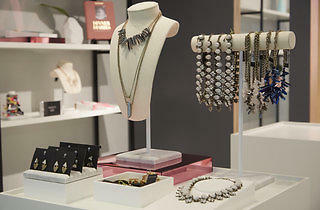 Step inside the 1,200-square-foot space and shop from the brand’s Builder Bar—a statement wall that encourages you to layer and frost yourself in jewels—and snap photos at the selfie station (because millennials). You’ll need photographic evidence to prove that statement collar still looks just as good as when you first tried it on, right? Necklaces make up the bulk of the stock, but if you scoop up standouts such as Cape Town bracelet sets ($64), crystal Mason rings ($32) and turquoise Capri Amulets ($68), and you’ll surely fill your accessory quota for the month.